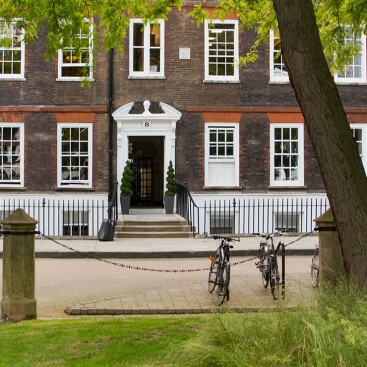 Wilberforce Chambers is looking to recruit a Marketing Assistant on a 12-month placement (starting in June or July) to assist the Marketing and Clerking/Support teams with marketing activities including the organisation of its busy programme of events in the UK and internationally. The candidate will have completed two years of an undergraduate degree ideally focused on marketing and/or events management. Supporting the Marketing & Business Development Manager and the Marketing Executive, you will be involved in all areas of marketing, working on multiple projects aimed to promote Chambers and our legal expertise across practice areas. This is an exciting opportunity to gain marketing and events experience at one of London’s leading barristers’ chambers. This role will involve a lot of organisation and creative skills, it is therefore essential that you are a strong communicator and possess a positive and enthusiastic approach at all times. To be considered for this opportunity you will be studying for an undergraduate degree focused on marketing and/or events – this role has been created for those enrolled on a sandwich course looking to gain industry experience following two years of full-time study. The salary for the position is £22,000, plus a non-refundable travel ticket advance. In order to apply for this role, please send a completed application form and equality and diversity form to heustace@wilberforce.co.uk.